The code, obtained by XDA Developers, has "dozens of strings and multiple methods, classes, and fields" strewn about that all reference facial recognition. Distinct from the existing 2D-based "Trusted Face" feature, the "face unlock" functionality discovered in the leaked ASOP build of Android Q references error messages that suggest the operating system expects a device to incorporate facial recognition sensors similar to Apple's TrueDepth camera system. For example, one error message reads, "Face hardware not available." Following Apple's debut of Face ID, Android handset makers scrambled to roll out their own 3D-sensing solutions. While some, like Huawei and Xiaomi, have successfully incorporated the specialized hardware into their devices, these implementations rely on heavily modified versions of Android to accomplish the feat. By adding support natively into the OS, more manufacturers will be able to take advantage of the technology in upcoming handsets and tablets. Android Q's version of facial recognition is poised to be much more secure, suitable for unlocking the phone, accessing apps, or authenticating purchases, similar to Face ID. 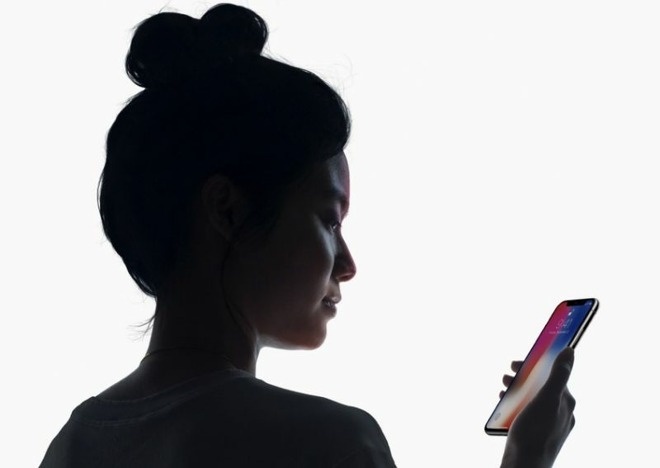 Apple's depth-sensing system uses structured light from a dot projector to determine the 3D structure of a user's face. TrueDepth projects an array of 30,000 dots in a known pattern using a vertical-cavity surface-emitting laser (VCSEL) module, then processes and compares the resulting image against secure reference data. While certain Android manufacturers currently rely on sensors similar to TrueDepth, it is anticipated that many will turn to cheaper and smaller modules based on time-of-flight technology. ToF sensors generate depth maps by calculating the time it takes laser pulses or modulated laser light to bounce off an object's surface. Google is expected to debut Android Q this upcoming May at its annual developer's conference. I wonder where’s Google’s Android clan who claims Apple doesn’t innovate and Timmy needs to be fired or that faceID is a useless gimmick? I forgot that even though they claim Apple copied Android with Facial tech because they had it first that they can’t use it for secure transactions like we can with FaceID, but instead once again it’s taking them years to come close what Apple created out the box. Just like Touch ID. If this was an Apple bashing article they would have accumulated 100 comments in these almost 2 hours. So, far I’m the only one. Welcome to the world of biased news reporting. People hear what they want and news outlets ‘report’ on what agenda they want to push. You don’t suppose things even as important as politics and the president and congress have any semblance of unbiased news reporting do you? The last few years should have destroyed any confidence we have in most news outlets. AppleInsider is usually pretty good though. Apple is the only one playing catch-up. Apple is the only one not innovating. Apple is the only one that is constantly doomed. Apple is unique that way!! Competition will do that. Happy for Android users getting the benefits of this feature. I’ve loved it in my iPhone X and now on my XS Max. My next iPad choice will also have that. Never going back: I’d like it on my next MacBook. Android Q? I guess Android Pie was a huge flop. There’s almost no non-Google phones that have it, and no tablets, and very few that will ever be able to upgrade to it. I remember it was thought android makers were two years behind when Face ID was released. It seems like three years was a closer answer. There were several factors at play surrounding Face ID and depth sensing. Innovation wasn't really the key as competitors were also working on the same technology and at the same time. Just a matter of weeks after the launch of iPhone X, and taking advantage of the presentation of one of its phones, Honor demoed its owned solution. It wasn't some hastily cobbled together copy of what Apple had revealed but a full overview of what they were working on, including ten times the resolution of what Apple was offering (sub mm precision) and 3D small object recognition. The other part of Apple's Face ID was tied to what is now known as 'contextual computing'. Again, Honor had implemented that long before Apple and even resolved issues that the iPhone X didn't (the ability for the phone to override the orientation settings when the user was looking at the phone from a horizontal position, for example). They used eyetracking to turn off the screen for power saving etc. The 'problem' was that these solutions were convenience features and not security features and as such could not be used for authentication purposes. For that, more secure biometrics were necessary and fingerprint sensors were perfect for the task. Fast, reliable and above all, cheap. The Face ID-like 3D depth sensing options were there but only for two manufacturers: Apple and Huawei. That was because of the NPU functionality. There was another issue: cost. Honor would later reveal (January 2018) that including their solution would have made the phones too expensive. Remember they already had secure authentication and contextual computing covered. There was no pressing need to include 3D depth sensing for biometrics especially as they were often putting fingerprint sensors on the back of phones anyway and could still reduce bezels (again, ahead of Apple) as a result. Apple didn't really have the same options open to it but was faced with the same cost problems. This was a problem as they only released two phones per year. It would have been very risky to make one of the two much more expensive. They opted to include a third phone to the lineup and limit FaceID to that one phone. Although some 'analysts' had claimed Android hardware was at least two years behind Apple on Face ID (a very strange assumption given the Honor claims and demo) Huawei duly released its own solution in late 2018 and took things one step further than Apple by including its first stab at 3D object modelling (the 3D panda demo raising eyebrows at the presentation of the Mate 20 Pro). Apple has basically not changed much with regards to Face ID from 2017 to 2018. Speed has improved due to the A12 but it still seems limited to biometrics. The ToF systems coming to Android handsets appear to be focussed on the rear facing array. Rumours are pointing to AR/VR uses rather than biometric uses. Feels bad for the users of the 3 phones that will have this. Imagine waking up early and ugly, then you get ads for toothpaste, make up, hair brushes etc.